When it comes to preparing for the worst, the Nite Ize affiliate program in AvantLink features great tools for agencies dedicated to preparing for the management of what may come. The tools and skills to survive are an invaluable part to any preppers planning. Nite Ize was founded out of an idea for a simple solution, and continues to develop products that make life easier. One of the more popular tools with survivalists and preppers that Nite Ize makes is the CamJam Cord Tightener. It’s great for tightening, tensioning, securing, hanging, wrapping, you name it! 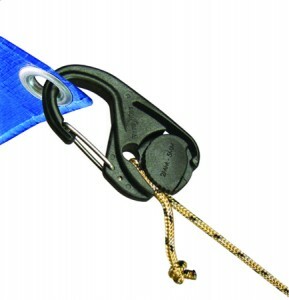 The CamJam provides a sturdy, knot-free and lightweight way to secure loads. It features a carabiner clip on one end and a rotating, ridged cam mechanism on the other end. Simply feed your cord through the cam until the desired tension and pull firmly to lock in place. Adjust and readjust as needed, the CamJam is made to withstand plenty of use. What makes this little gadget so handy to preppers is that it can be used in so many different ways. Hang and secure a tarp for a shelter, use it for a bear bags, or bundle supplies and securely keep them together. Available in a few different sizes, find the CamJam that’s just right for different needs. Nite Ize has many more versatile products that are popular with sites and people preparing for a major disaster. Join the Nite Ize affiliate program and partners earn 12% commission with a 90 day cookie. Affiliates have access to exclusive monthly coupon codes. All prepper, EDC, outdoor, survival, safety and gear related sites are encouraged to apply. Here is more information about the services affiliate management agencies offers from Versa Marketing.